Design a beautiful “Coming soon” page to be placed when your site is down for maintenance. Change the default Magento’s “Service temporarily unavailable” to a beautifully designed maintenance page. Set a countdown timer, customize a background image, text, and colors. Inform your visitors that your store is under maintenance and they come back at the right time. Send notifications about coming back or scheduled maintenance to customers. Add the ‘Mail to’ link to let customers contact you. Ensure age confirmation and parent control. There are different reasons why you need to put your store in a maintenance mode. You need to make some changes to your store, e.g. to upgrade, install software or perform testing. Or especially if you suspect a hacker attack. By default, Magento has a standard “Service temporarily unavailable” page which may discourage your visitors from buying in future. It looks neither attractive nor friendly. And most importantly, it doesn’t allow you to place a message that will tell your visitors when you are back online. And what about if your visitors want to say something to you as well? 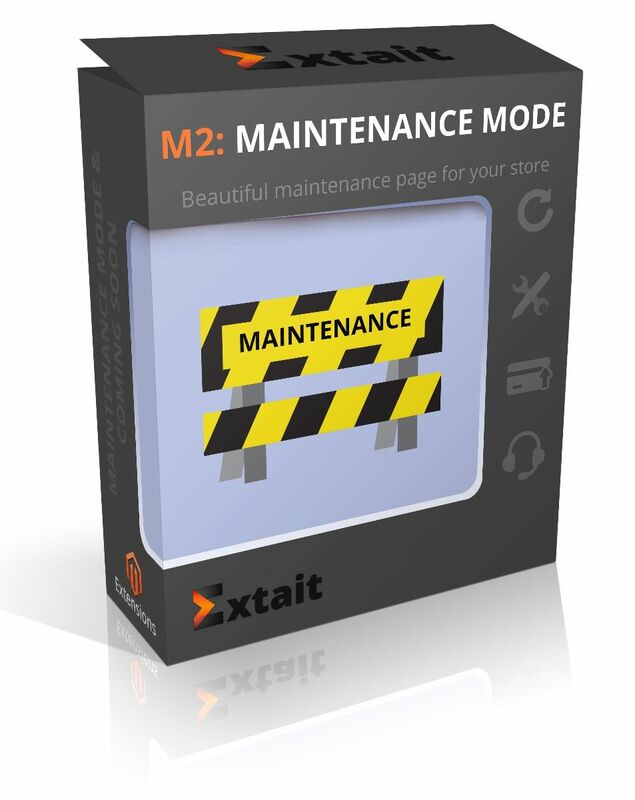 Use our Magento Maintenance Mode & Coming Soon to design and place an attractive maintenance page. Moreover, inform your visitors that your site is under maintenance and will be unavailable only temporarily. Give the possibility to customers get email notifications. Provide also secure use of the personal data they leave on your page, i.e. emails. Besides, don’t stop communication with your customers even when your site is closed for maintenance. Add a link to the maintenance page so that any customer can address you, even when the site is unavailable. In the admin panel, you indicate your email, enter the subject, as well as the text of a message which appears in the mail body. By this, you make it easier for a customer to send you emails. 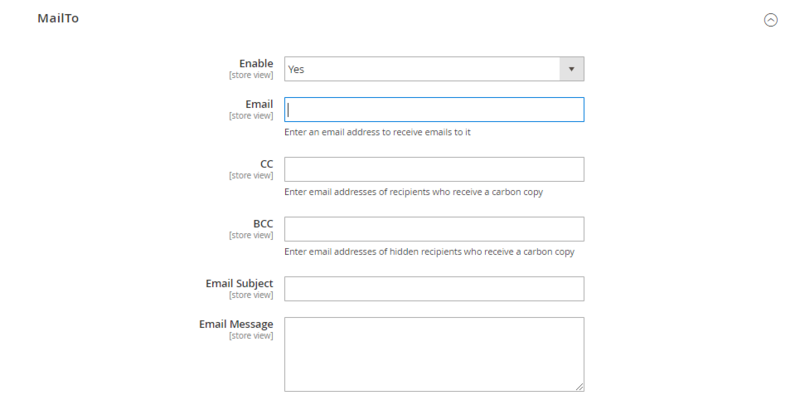 Additionally, you can specify email addresses for carbon copies. It’s for your convenience in case you have several admins or want to direct mails to one of the store’s departments. When the extension is enabled, a message is shown at the top of the admin panel page. It informs an admin about which store views are closed for maintenance. There is also a link for quick access to configurations in order to disable the module. Visitors can subscribe to get a notification to know when your store begins functioning. As well, you gather emails of your potential customers which you can later add to the mailing list. Moreover, you can inform customers about the forthcoming maintenance mode in advance. Let admins get notifications so that they do not miss the time when maintenance is coming to end. You set the time when to be notified: before one day, one hour or 15 minutes. As well, when your site is still not ready at the set time, you can change the end date not to mislead your customers. Install once – use for as many stores as you have. Our extension supports multiple stores, and you only need to choose the store that is supposed to go for maintenance. You can quickly enable extension via the store’s admin panel or from the Developer Console. The maintenance page resizes itself depending on the type of device. Now it is common to use smaller-screens to view pages. So our maintenance page can provide the best visibility to your customers. You can upload the image you like or choose your favorite color as a background. If you choose an image as a type but don’t upload it, our default image will be displayed. In case you later switch to a color type the image is removed. So to use the same picture you need to upload it again. With Magento Maintenance Mode you can place a message to notify your visitors that your site is coming soon. As well the checkbox labels text and cutdown note are customizable. Choose a single color for all the elements on the page to match your style and the whole background. A customer needs to mark another check box to verify the age of over 16 years old. In case a visitor doesn’t do it, a field appears to enter a parent email after trying to subscribe for notifications. Thus, the parent receives an email with a link to confirm the child’s query for subscription about maintenance completion on your website.